If you are looking for a new exhaust system (e.g. 2bular etc) for your Lotus and would like to invest in an aftermarket tuning kit further down the road, you need to be aware of the benefits and pitfalls before you buy or place an order for your new manifold, catalyst or back box. We receive lots of questions from customers looking to tune the later cars (Exige V6, Evora S etc.) so we thought we would publish this helpful page – not just for our own reference, but to aid others too! 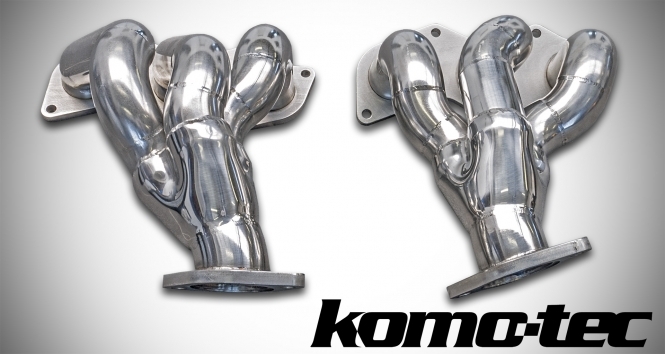 Q: I have a 2bular exhaust manifold and decat fitted to my Exige V6 and would like one of the Komo-Tec upgrades. Will this be okay? A: After long discussions with our partners Komo-Tec, they found that most exhaust systems other than their own specially developed manifolds and catalysts did not achieve the target power or torque and therefore weren’t recommended. Q: Can I buy a Komo-Tec exhaust manifold and cat now and then have the rest of the Exige/Evora upgrade later on? A: Yes, this is always possible and an interim map is available for this purpose if required. Komo-Tec manifolds and sports catalysts are always available from Hangar 111 and most of the time in stock ready for immediate dispatch (or we can install it for you at our workshops). A: Again, after discussion with Komo-Tec, when taking on the Exige V6 and Evora S upgrades we found that the V6 cars have a sensitivity to the O2 sensor quality, position and wire routings. This can cause repeated MIL lights for sometimes random reasons. When Komo-Tec developed the exhaust components for the V6 applications, these areas were addressed before the products were released. Q: I have wasted a lot of money being removed from track days due to the noise limits. Do you have a solution for getting my exhaust aftermarket exhaust system quieter for track days? A: There are a number of solutions for this – some that feature within the exhausts we sell (like bypass valves in the Komo-Tec rear box) and other custom bolt-on solutions which can be tailor-made to attached to your existing exhaust. Q: If I have a problem with a Hangar 111 or Komo-Tec exhaust system, where do I stand on warranty? A: In the unlikely event that you experience any issues with a Hangar 111 or Komo-Tec exhaust product, we will always do our best to rectify things if we are given the chance to do so. Exhaust systems can be subject to various methods of abuse! Most of these we have tried to cate for in our designs, however some are harder to predict than others! Impact damage, frequent spinning on track (or gearbox breaking), even landing the car after a take-off can cause excessive stresses on the exhaust system – especially the manifold and catalyst sections. We are very pragmatic about such things and always try to help. For normal users we offer a 12 month warranty! Q: Aren’t you just plugging Komo-Tec tuning kits? A: Well, Yes and No. We want people to avoid losing out the major benefits of the Komo-Tec upgrades we install for the Evora S and Exige S V6. We have in the past replaced aftermarket exhaust systems with the Komo-Tec exhaust which has been designed specifically for the job. Q: I am based in the UK, can I buy a Komo-Tec exhaust system anywhere else? A: No. 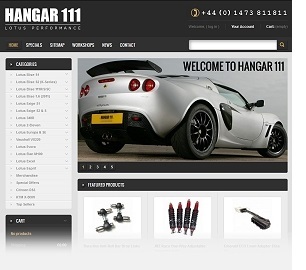 Hangar 111 are the sole official UK partner, distributor and installer of Komo-Tec products. If you are looking into purchasing an exhaust manifold, decat or rear silencer for your V6 and would like a Komo-Tec kit in the future, please contact us first to discuss.